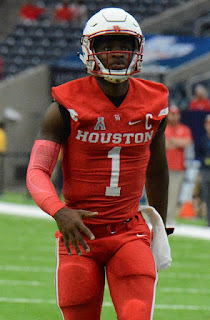 SAN ANTONIO, TEXAS (January 12, 2019) The San Antonio Commanders have announced they have added former Houston Cougars standout Greg Ward, Jr. to their 2019 roster as a wide receiver. Ward, Jr. played in 49 career games at Houston as a wide receiver and quarterback. He amassed 11,080 yards and 93 total touchdowns at Houston and was the 2015 Earl Campbell Award winner. In addition, he was a member of the Super Bowl LII champion Philadelphia Eagles’ practice squad in 2017.